The African Union’s Special Envoy for the Issue of the Lord’s Resistance Army (LRA), Ambassador Francisco Madeira, has said he has received new information about the LRA’s leader Joseph Kony from Central African Republic (CAR) President Michel Djotodia. President Djotodia, formerly the head of the Seleka rebel movement who seized power earlier this year, said he and his associates had been in contact with Kony, who is reported to be ill with an unknown condition. There is also the suggestion that Kony may be considering surrendering or dissolving his group. Both Ambassador Madeira and UN special representative for Central Africa Abou Moussa were said to be working to try and confirm the information. The LRA has made numerous overtures in the past about surrendering or disbanding and continually failed to follow through. The major stumbling block has been the desire on the part of Kony to secure immunity for himself and other LRA leadership figures. Both Kony and his second in command Vincent Otti, among others, are wanted by the International Criminal Court for crimes against humanity. 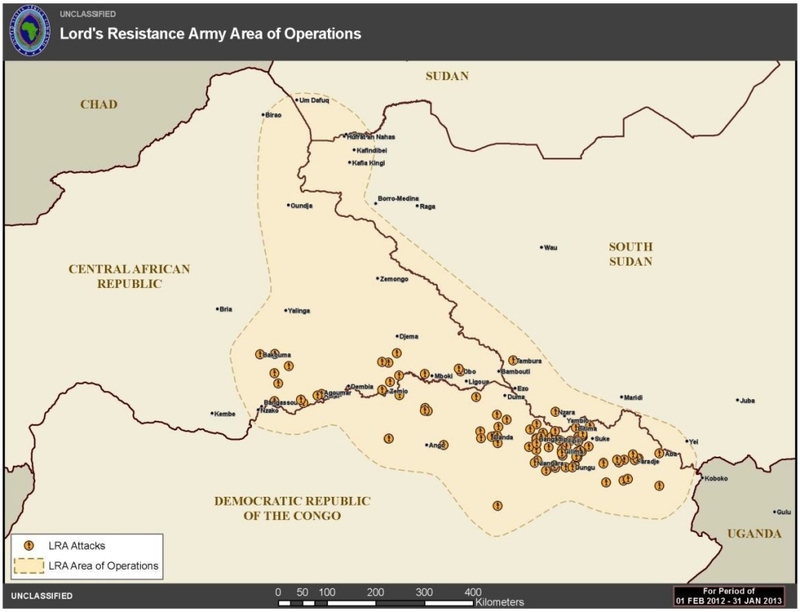 In addition, information supplied by former Seleka rebel contacts has proven to be dubious as recent as this month, when information passed along has suggested that LRA would surrender en masse on the 3rd. The report also stressed concerns about possible spillover of the instability in CAR into neighboring countries. This is a real and present danger, given that armed gunmen launched a raid into Cameroon from CAR over the weekend, the third such incursion since March. It also brings into question whether, given the other factions affecting stability in the region, whether the LRA is as critical a threat as it once was. This entry was posted in Uncategorized and tagged CAR, Joseph Kony, LRA, Operation Observant Compass, Vincent Otti. Bookmark the permalink.